The Polar Bear’s native range lies largely within the Arctic Circle, encompassing the Arctic Ocean, its surrounding seas and surrounding land masses. 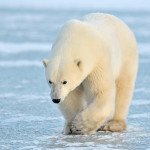 Polar bears have evolved as a best of breed solution to their environmental challenges, thriving in a unique ecological niche. Many adaptations make polar bears uniquely suited to life in icy habitats. Their fur is thicker than any other bears’ and covers even their feet for warmth and traction on ice. A thick layer of blubber beneath their fur provides buoyancy and insulation. The long neck and narrow skull of the polar bear probably aid in streamlining the animal in the water while warming the air that they breathe, and their front feet are large, flat and oar-like, making them excellent swimmers and distributing the load when they are walking on snow or thin ice. The pads of the paws are covered with small, soft bumps which provide traction on the ice. Polar bears do not hibernate, they are active year round. Unlike brown and black bears, polar bears are capable of fasting for several months during late summer and early fall when they cannot hunt for seal, living instead off fat reserves for months at a time. The polar bear has amazing surveillance skills, with an extremely well developed sense of smell, able to detect seals at great distances (up to 20 miles away! ), even under snow. In fact, their sense of smell is so keen it can even smell the breath of a seal when it comes briefly up for air. Its vision is also good at long distances. Polar bears are amazingly agile. Researchers have even photographed polar bears scaling near-vertical cliffs to eat birds’ chicks and eggs. Polar bears even have organs which are specially adapted to their diet, including a special liver that allows them to process all of the seal fat they eat – seals store a lot of vitamin A in their blubber, which is very hard on a typical liver. iZon provides a best of breed solution, uniquely suited for email surveillance needs regardless of you archiving platform. It can integrate with both internal and external system for more complete monitoring. Like polar bears, iZon is always active, searching archives daily for potential infractions, using a Rules Engine based on the organization’s policies and trigger keywords and phrases. iZon has amazing surveillance skills, able to supervise directly from the Microsoft Exchange server or O365 cloud SaaS email service or via standard API integration connection. Its keen observations provide quick and easy audit-proof oversight of all the supervision processes. You don’t have to scale cliffs for access to your surveillance data. With an intuitive user friendly interface, and automated notifications and reporting, the data you need is easy to reach. iZon is specially adapted to process findings with customizable meaning and lexicon-based search patterns that significantly reduce false positives and duplicates for more accurate and relevant monitoring results. With the uniquely adapted solution provided by iZon, electronic communication monitoring doesn’t have to be a bear. iZon Compliance is a powerful, information archive independent, electronic message surveillance and supervisory control application that uses powerful meaning-based lexicon searches and random methodologies to more effectively flag email communications, attachments and other electronic message types for FINRA regulatory compliance. iZon‘s power and advantage is that it is a more efficient supervision application that excels at reducing false-positives, minimizing duplicates, reducing the time it takes to accomplish a day’s worth of message reviews while zeroing in on potential violations. 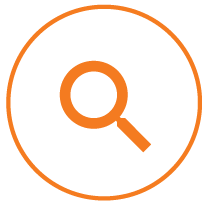 Within iZon, compliance teams are able to easily group search lists for securities trading or customer complaints and construct very targeted searches with the ability to distribute workloads. In addition to daily review requirements, teams are able to rapidly create lists to monitor top producers or specific agent accounts based on ad-hoc requirements. Information archive independent: Can supervise directly from the Microsoft Exchange server or O365 cloud SaaS email service or via standard API integration connection. Integration with other internal systems to automate the supervisory processes. Flexible collaboration and escalation capabilities when action needs to be taken on messages that violate corporate policy. Audit proof reporting of every action taken from the moment a message was flagged to be supervised to conclusion of the message supervision process. The Financial Industry Regulatory Authority (FINRA), as the independent regulator for all securities firms, requires that communications and correspondence between registered representatives and the public receive supervisory review pursuant to rule 3110 and 3120. It’s no surprise that, given the sheer volume of information requiring oversight and the fragmented archiving systems many companies rely on, even firms with systems in place from their information archive vendor, are missing potential violations and incurring fines. United States federal securities laws and self-regulatory organization (SRO) requires regulated financial services companies to establish systems and procedures to supervise electronic communications. New York Stock Exchange (NYSE) Rule 342  requires members to implement supervisory policies and procedures. Email correspondence is captured and retained in accordance with Rules 3110 & 3120. The names of the persons who prepared the outgoing correspondence and those who reviewed the correspondence are recorded. With iZon you know you’re covered. 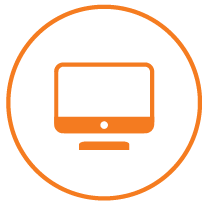 Implement your supervisory policies and procedures with our automated electronic communication supervision. iZon Compliance searches archives daily for potential infractions, using a Rules Engine based on the organization’s policies and trigger keywords and phrases. Flagged content is sent to legal, HR or compliance reviewers as appropriate, along with a message about why the message triggered review. iZon’s customizable reporting, dashboards, and metrics, provide quick and easy audit-proof oversight of all the supervision processes. Detailed reporting of all supervision actions taken helps ensure that the review and supervision process has been consistently accomplished. iZon Compliance focuses on improving the actual processes and tasks of actually accomplishing the message supervision. These workflow improvements go beyond what the regulators require and make the effort of message supervision easier to do along with more affordable to accomplish. One needs to see it demonstrated to truly appreciate how it is better than your current message supervision application! Compliance reviewers or independent regulatory auditors can view the messages and attachments in question via an intuitive interface, enter comments and document that the review has been completed. Their actions and notes are preserved in an audit trail to demonstrate adherence to procedures and comply with FINRA recommendations. Customizable meaning and lexicon-based search patterns significantly reduce false positives and duplicates for more accurate and relevant monitoring results. This helps reviewers stay on top of the volume of communications that require their attention and allows them to complete more reviews in a timelier manner. 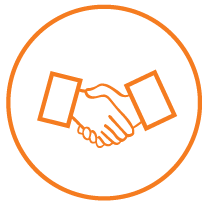 Adaptable, automated referral processes directly flags content into workflows based on reason codes, eliminating the need for manual escalation and review. Auto generation and distribution of client specific PDF warning letters to flagged employees with a click of the mouse. Stop reviewing emails one at a time. 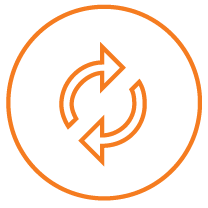 iZon’s bulk review capabilities allow multiple items to be reviewed and annotated at once, minimizing duplication of effort. iZon is one of the few electronic communication supervisory control applications that can run natively with Microsoft O365 Exchange Online cloud SaaS service. Ability to integrate with internal and external systems for more complete monitoring of relevant employee information as it relates to the flagged electronic content. Our reliable language-translation option is available and ideal for global organizations.